This post reviews Robert D. Putnam and David E. Campbell, American Grace: How Religion Divides and Unites Us (New York: Simon and Schuster, 2010). This book has been on my pile for a while and I finally got the chance over the holidays to crack it. Putnam is widely known as the author of the landmark 2001 book Bowling Alone , which is largely responsible for making the phrase “social capital” as popular as it has become. This new book, American Grace: How Religion Divides and Unites Us , is every bit as interesting and based on better data. It ably synthesizes a vast array of surveys and other sources to provide a reliable and fascinating look at trends in American religion from the 1950s to today. There’s nothing explicit in it about homeschooling, but chapter five, entitled “Switching, Matching, and Mixing” provides evidence to help elucidate one of the most important questions homeschooling research can ask, and one of the hardest to answer. The great majority of homeschoolers choose the practice at least in part to stack the deck in favor of their children turning out like themselves, especially in terms of religious belief and moral standards. Does it work? Putnam and Campbell don’t give us any information about that. But they do provide a wealth of background information about how effective the various religious groups in America are at keeping their children in the fold. That’s what I’m going to summarize in the rest of this post. The great majority of Christian homeschoolers are conservative Protestants (Evangelicals, Fundamentalists, and/or Pentecostals) or conservative Roman Catholics. In general, Putnam and Campbell find that Catholics of Anglo descent were very good in the early 20th century at keeping their children Catholic, but since the 1960s white children growing up Catholic have been increasingly likely to leave the faith, “roughly 60% of all Americans today who were raised in America as Catholics are no longer practicing Catholics.” (p 140-141) Hispanic Catholics at present are more like the older ethnic white Catholics–they have larger families, are more devout, and their children are far more likely to stay Catholic. The number of Catholics in the nation has stayed fairly constant over the past 60 years, but that’s only thanks to the huge influx of Catholics of Latino/a descent, who are fast displacing whites in the pews. Conservative Protestants did a better job keeping their kids up through the 1980s, at which time about 75% of white conservative Protestant children tended to stay in the faith as adults. Why? Because these families tended to be more devout. Putnam and Campbell find that two factors more than any other predict whether a child will continue in the faith of his or her family of origin. The first is unmixed marriage. If both parents belong to the same faith a child is far more likely to stay in that faith. The second is level of devotion. Families that attend services more than once a week, say grace, and engage in other devotional practices are far more likely to have children who maintain their commitment to their faith of origin. For much of the 20th century conservative Protestants tended to marry in the fold and tended overall to be more devout than many other American religious groups. But in the 1990s this began to change. Increasingly, conservative Protestants have come to look much like everyone else in terms of intermarriage rates and levels of devotion as measured by such things as frequency of attendance, frequency of prayer, saying grace at meals, and so on. By 2006 about 45% of white adults raised as conservative Protestants had either lapsed or switched to something else. Again, none of this is applied directly by our authors to homeschooling. But the trends Putnam and Campbell uncover are highly suggestive. If they are right, the best way for parents to keep their kids faithful is to have a robust family devotional life and to see to it that their children marry someone from the same religious tradition. This is precisely what many conservative Christian homeschoolers have been doing, especially since the 1990s, which is when the broader conservative Protestant church began to look more like mainstream America both aesthetically (hymns out, praise bands in; the growth of suburban megachurches and their consumerist, corporate glitz) and culturally (higher divorce rates, weakening of earlier fundamentalist rejection of things like fashion, television and movies, and less faithful Sabbath keeping). 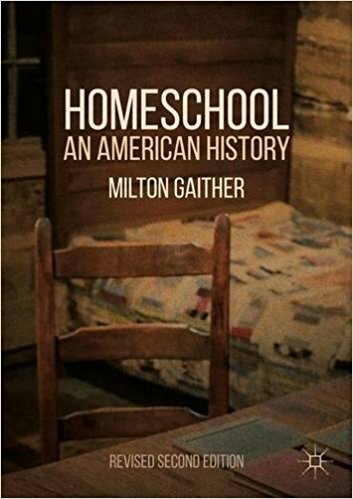 As conservative Protestants on the whole zigged toward the mainstream, the most devout subset zagged in the opposite direction, and a large number of them embraced homeschooling as part of the package that they hoped would keep their kids on the straight and narrow. Is it working? That’s the big question. To date there has been no systematic study of the question. The Cardus Education Survey, which I reviewed here, is the only study of adults who had been homeschooled extant that is based on random sampling. It found that homeschooled kids were very likely to stay in the faith of their parents, but it ascribed that not to homeschooling itself but to the level of religious commitment of their parents. Adults who attended private Christian schools with devout parents were just as likely to stay in the faith. Jeremy Uecker’s 2008 examination of the huge dataset compiled by the National Survey of Youth and Religion found, similarly, that adolescents with highly religious parents tended to be highly religious regardless of whether they were homeschooled, privately schooled, or, indeed, publicly schooled. The take home message of his article was that the type of schooling makes almost no difference in the religious lives of adolescents. What matters is how committed their parents are. As I’ve said before on this blog, this longitudinal question is the one I’m most interested in right now. I’d love to figure out some way to study the impact of homeschooling on adults who experienced it as children that could take us beyond anecdotes and hearsay. But how? I wonder if it would be possible to obtain data from a state like North Carolina that requires centralized notices of intent. It seems like that would be the best way to obtain a good cross section of homeschoolers. But then, of course, there would be the question of whether North Carolina is representative of the United States as a whole.